I make this recipe quite often because it's so delicious! It's a great way to flavor broccoli without butter. Nutritional Yeast is not the type of yeast you bake bread with, it's a living micro-organism grown on sugarcane and beet molasses. It has 7 grams of protein in just two tablespoons! It's high in riboflavin, Vitamin B- 12 and full of amino acids. It has a cheesy taste and I sprinkle it over kale chips and put it in my scrambled tofu. 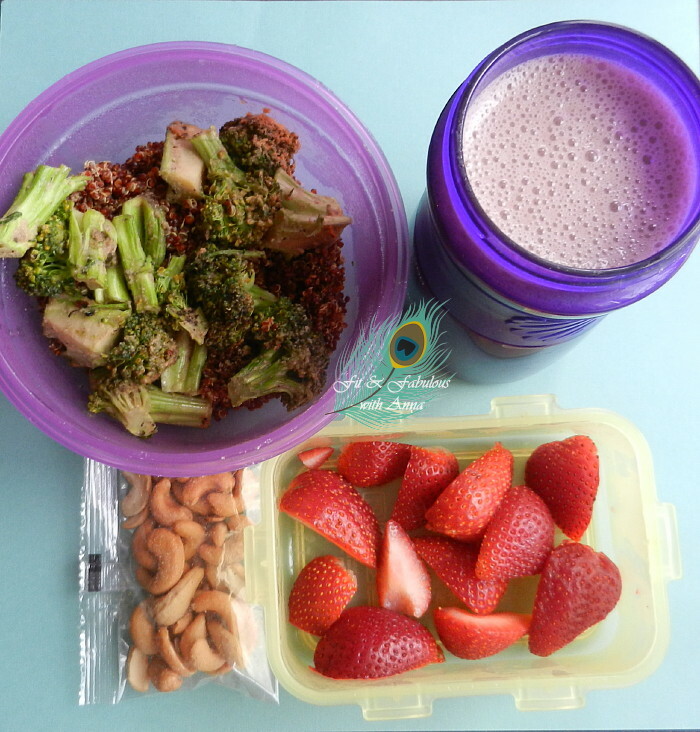 Quinoa is a great alternative to rice because it's high in protein and a slow releasing carb, which means it delays the release of sugar into your blood stream so it keeps you full longer. 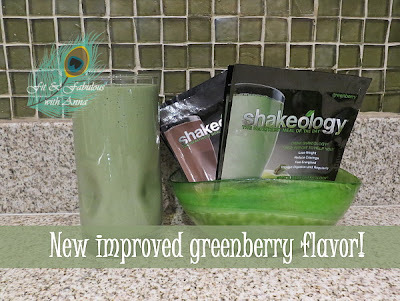 It's also one of the ingredients in shakeology that gives the shake protein. I do! 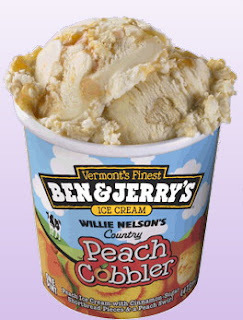 I was in the mood for some peach ice cream, but Ben & Jerry's 1/2 cup (106g) serving size is 220 calories, 100 calories of fat, 26 grams of sugar! So instead I reached for these two boxes to do a comparison. Their ingredient lists start off the same: skim milk, sugar, peaches, egg yolks....except the Weight Watchers also has whey protein in it and the yoplait has apricot juice in it. The difference is the yoplait bar is half the size of the weight watchers bar, but they say a serving is 2 bars, but realistically you're only going eat one bar at a time so you can just cut the calories in half! 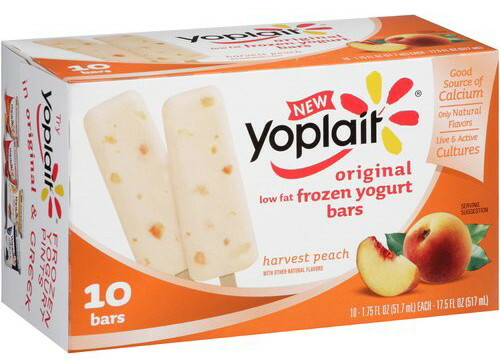 The Yoplait bar was light orange in color and tasted like blended artificially flavored peach yogurt with a weird maple syrup after taste to it. 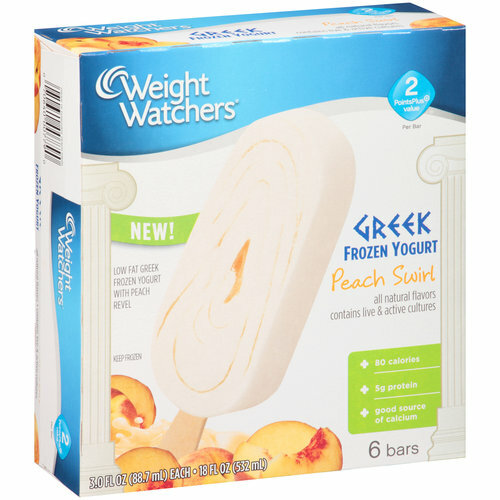 The Weight Watchers bar was white and tasted like delicious creamy vanilla ice cream with a very light hint of peach flavor. Last summer the Today Show did an interesting segment titled "Can you believe diet frozen dessert labels? Tests show that some products have up to 68 percent more calories than labels promise." Turns out Weight Watchers bars and Arctic Zero (protein) ice cream had more calories than their labels advertised, but Skinny Cow bars had less. They can get away with this because the industry allows a percentage of error and the companies do their measurements based on averages of containers. 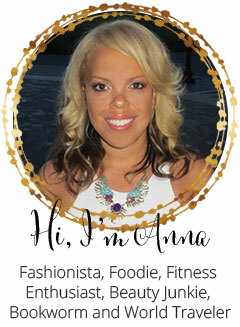 Do you enjoy reading my blog? You can subscribe to it by clicking the subscribe button at the top right so you won't miss anything! 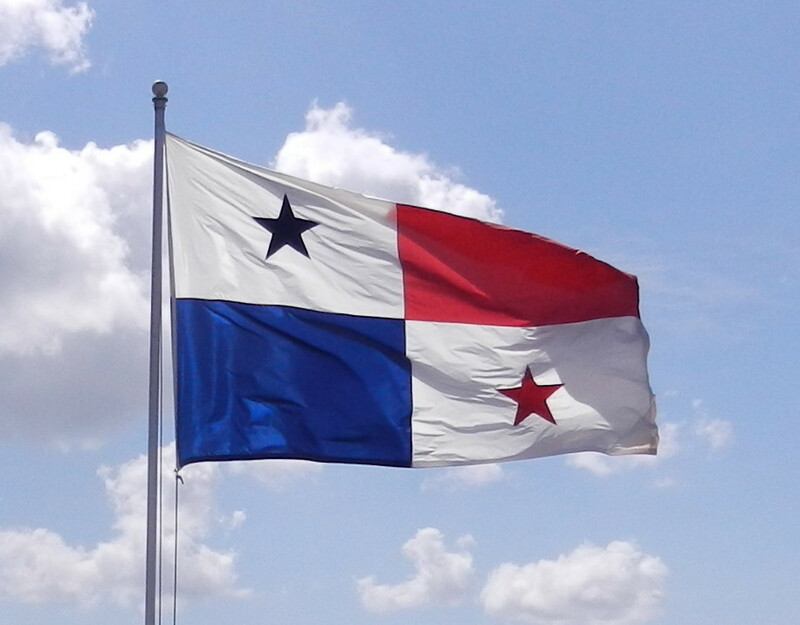 Panama's lush rainforest is a hidden treasure because tourism hasn't really exploded in the country. A third of the country is set aside as protected areas and national parks, and indigenous groups live on it with pretty much the same as they did hundreds of years ago. I visited an Embra Indian village next to the river which still maintains a traditional lifestyle (with no electricity or phone) and have not assimilated into Panamian society, so it was just like what you would imagine seeing in National Geographic magazine! Survivor filmed three seasons on Panama's Pearl Islands, which by the way have an interesting history. In 1513 the Spaniards discovered the islands inhabited with Indians who presented them with a gift basket of pearls. This only made them want to loot the island more so they killed off all the Indians and imported African slaves to harvest the pearls and their descendants now inhabit the islands. In 1979 the Shah of Iran retreated to the Pearl Islands. Today the islands are known for its beach resort and houses owned by the wealthy. The Smithsonian operates Barro Colorado Island in Panama because it was untouched by modern civilization and many of the most important groundbreaking scientific and biological discoveries of the tropical animal and plant kingdom have come from their research here. 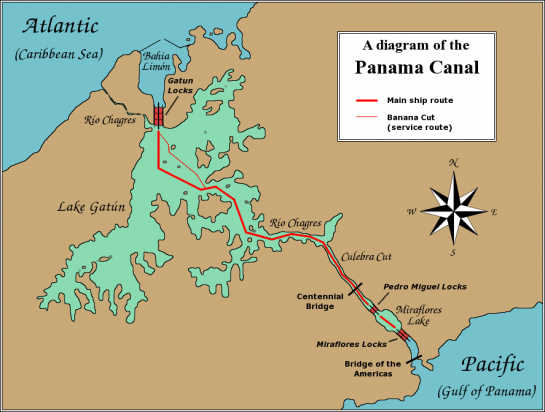 The Panama Canal is such an interesting engineering marvel I had to do an entire post on it! They are building a new Canal that will open in 2015. The Canal was built on land slicing through rock, then connected through the largest (at the time) man made lake, Lake Gatun, to connect the two sets of locks. Himalayan Salt Salt and sodium are necessary in our diets. Unfortunately, common table salt has been stripped of its natural minerals. Himalayan salt is completely natural, relatively untouched, and as a result, still contains over 70 trace minerals. All these natural minerals found in Himalayan salt actually make this salt healthier for you than regular table salt. Additionally, as most people who bake know, adding a pinch of salt contributes to the sweetness of a product. Want to make your immune system stronger? Make your allergies more tolerable? 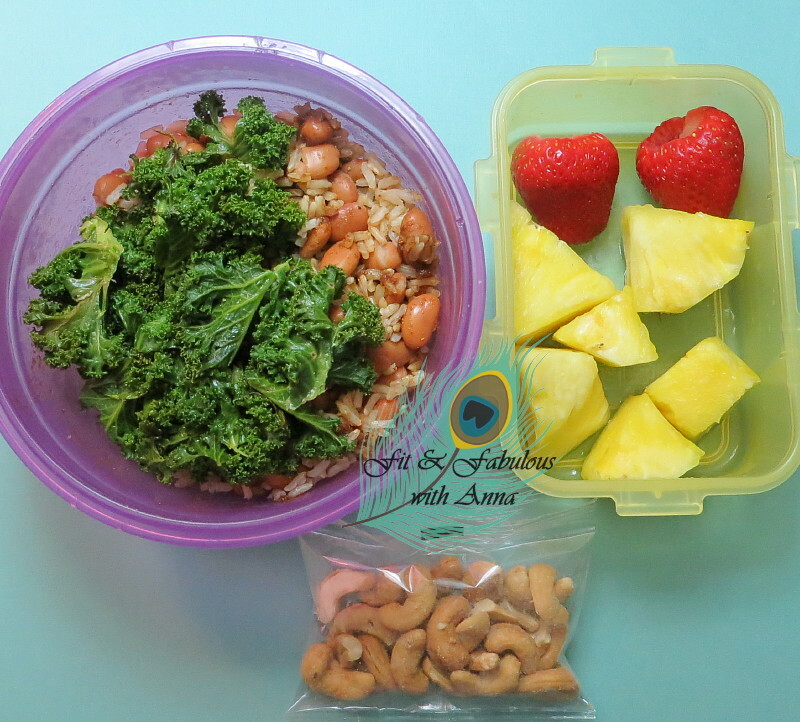 Do you want to give yourself more energy for your workouts? Give Cordastra a try for free this month! The ingredients: Cordyceps + Astragalus = Cordastra are known to both help the immune system as well as aide in chronic fatigue. Don't take my word for it, Dr. Oz talked about cordyceps helping with chronic fatique and astragalus on his show. 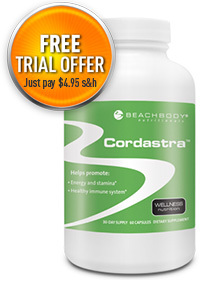 Cordastra is a brand-new wellness nutrition supplement that's an exclusive potent blend of two ancient Chinese herbs, astragalus and cordyceps. Together they promote physical health and mental well-being. This new wellness nutrition supplement also contains the unique and proprietary Activessence®, which helps optimize your body's ability to use both powerful herbs. 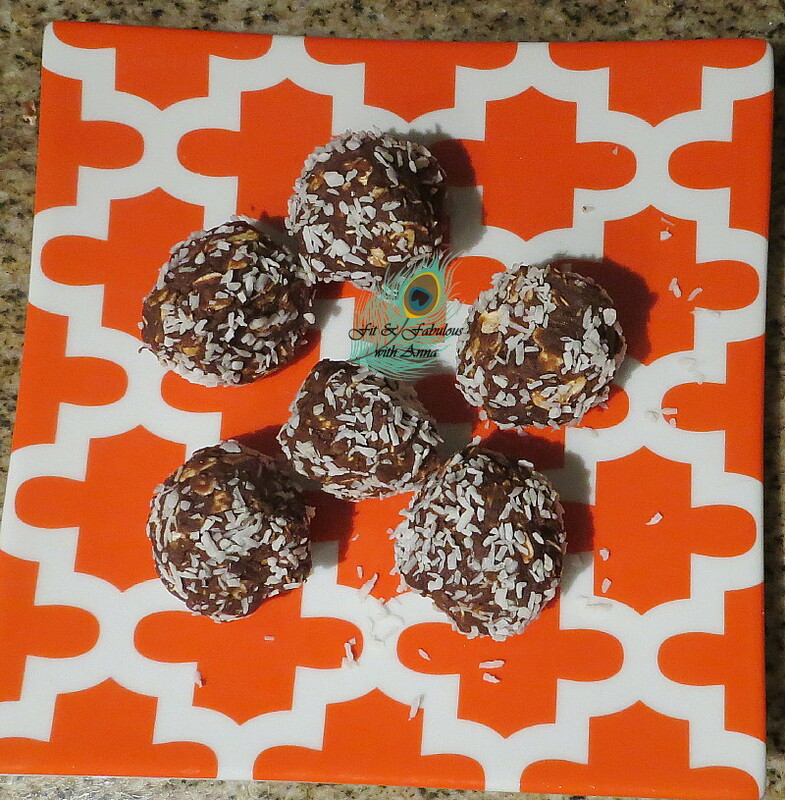 These no bake balls are delicious! 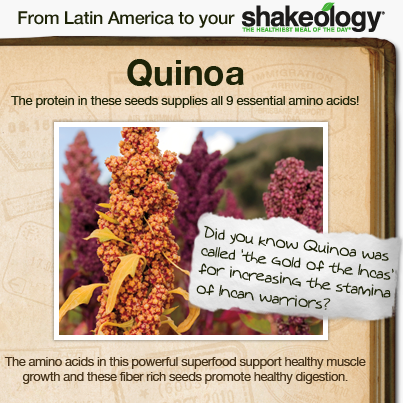 They're packed with nutrients and easy to make. Mix PB2 with water until it’s a paste like consistency. Mix all ingredients, including the PB2 mixture together in a mixing bowl. 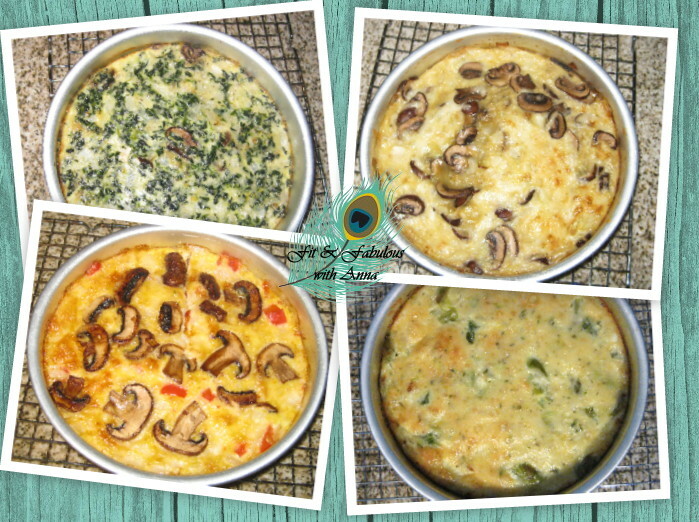 It make take some time to blend all of the ingredients together. If it’s too sticky, sprinkle in additional protein powder so that it’s a pretty dry/crumbly texture. Next – Roll mixture into small individual balls and sprinkle with coconut if desired. Makes about 12 balls. Put in freezer until firm. Shaun T, creater of the Insanity workout, also made Hip Hop Abs which is a totally fun, beginner workout that's more like a dance party than a workout. Right now it's on sale for only $20 for a 3 dvd set pack! And there's also a spanish version available. It's a 30-day, dance-based in-home fitness program designed to help you burn fat and sculpt your abs without doing crunches or sit-ups. Shaun T teaches his easy-to-follow moves step by step, so you can do it even if you think you can’t dance. If you’re new to working out, you won’t need to buy any extra equipment, you just need room to move. It uses cardio to burn calories, with special focus on toning your abs. Also included is a nutrition guide that helps you choose the right foods to support your weight loss goals. 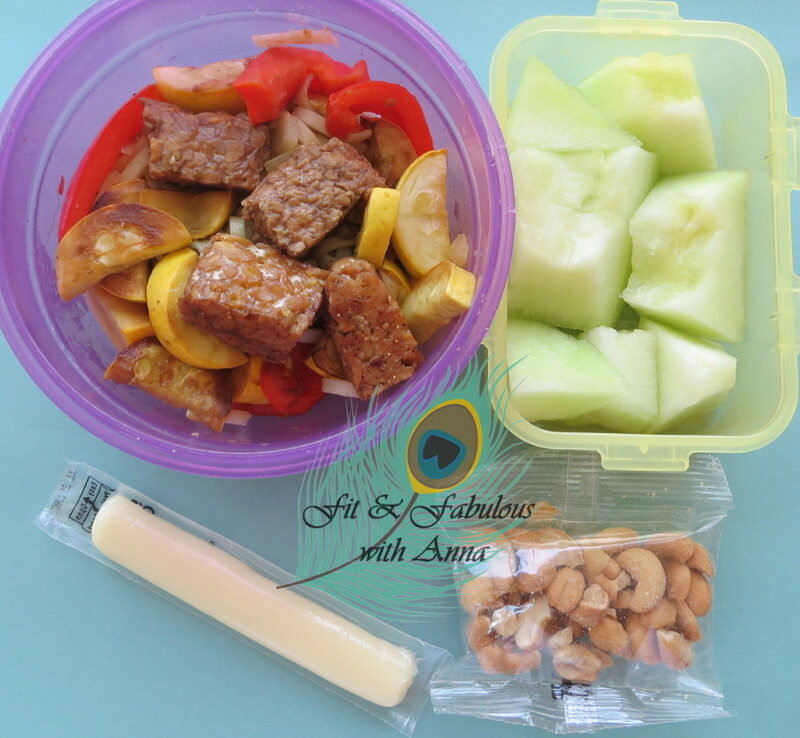 If you have to eat on the go, Shaun helps you make the best choices with his Results on the Run diet guide. 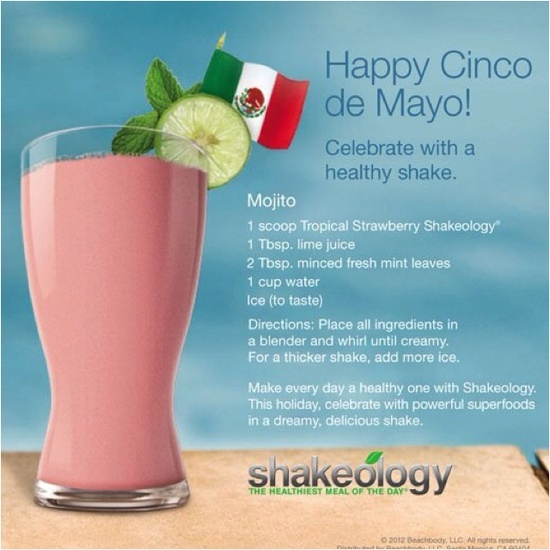 Join my 30 Day Healthy Eating and Shakeology closed online support group for nutrition tips, meal plans and recipes. Ask me how! I love the chevron pattern! My dining table actually has this same print in yellow. I bought this maxi dress last summer from ArdenB and a friend of mine said she had an identical one from Bebe. Last month I walked into ArdenB and they are once again selling this dress in the same color! I was surprised to see they bring back things from a previous season. I wore this dress to Panama so of course this look wouldn't be complete without a Panama hat! Target has some cute wall decor for nurseries in yellow chevron and quatrefoil prints. 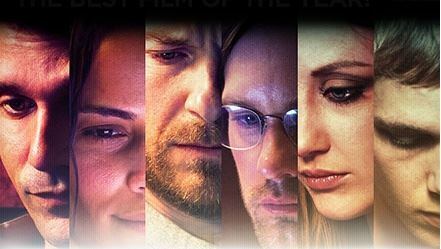 I don't normally write movie reviews, but I just saw the most captivating movie! According to Newsweek, this is the best movie of the year! 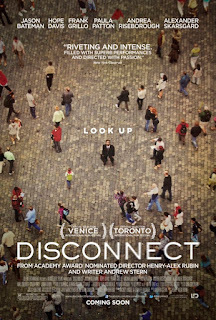 Disconnect is an indie drama that was only released in 161 theaters and I only heard about it because a groupon was offered for it. Then I had to find the one random theater in my area that had it which coincidentally had armchair seating! Yes all the seats fully recline like in first class on an airplane! It reminded me of the movie Crash, multiple story lines going on at the same time. 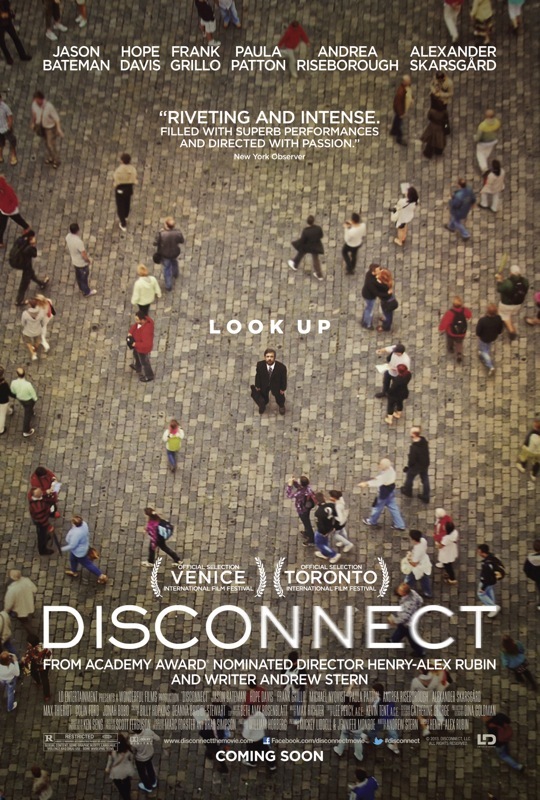 It's about families that are disconnected from each other but connected to the internet and how dangerous cyber relationships can be. The movie definitely made me tear up to watch. It stars Alexander Skarsgard (from True Blood), Jason Bateman, Paula Patton and in his cameo acting role fashion designer Marc Jacobs as a cyber pimp. ps One of my favorite movies The Bourne Trilogy is on sale at Amazon for just $15, that's $5 per movie for the set! pps The Hangover Part III is coming out May 23! I made this for Mother's Day a few years ago. I took it to my mom on the subway (covered in plastic in case anyone sneezed) and everyone around me said it smelled so good. 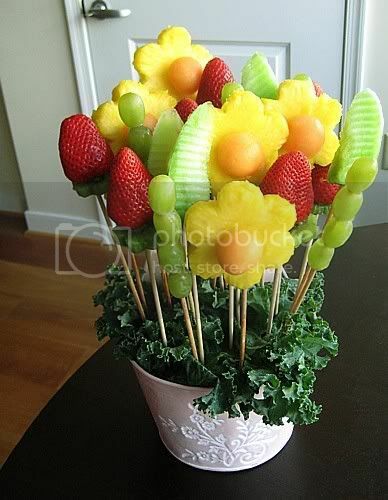 The total cost was $20, a lot cheaper than edible arrangements. 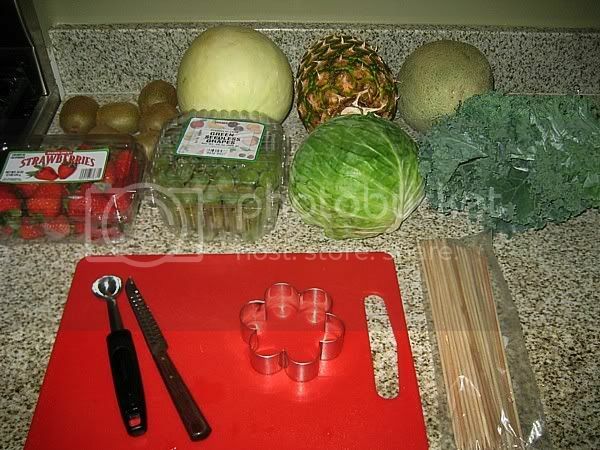 It was pretty easy to do, here are all the ingredients. 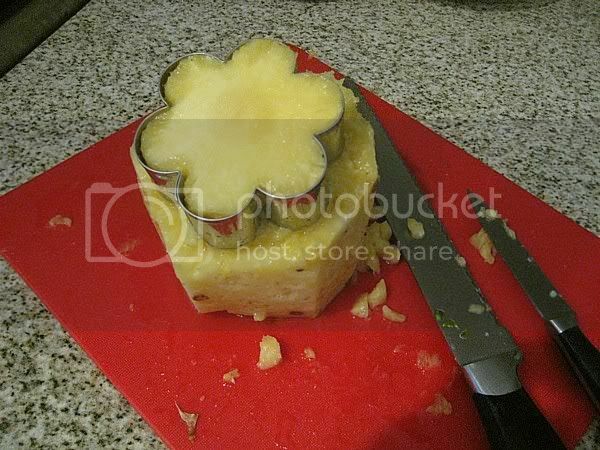 I used a cookie cutter to cut the fruit. The cabbage holds it in the pot and the kale covers it up and acts as decoration. 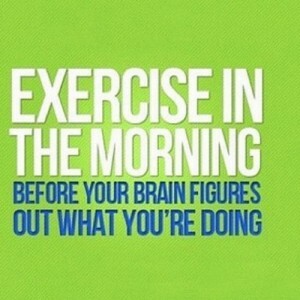 Obviously whatever fits best into your schedule, but exercising in the morning is a great way to start your day. I keep hearing experts say that the morning is the best time to workout because while you might have every best intention to exercise in the evenings, things come up, you get home tired, and it doesn't happen so you shouldn't leave it up to chance! Now that means you have to go to bed earlier so you can get up easily in the morning. I have an alarm on my phone that goes off every night telling me it's my bedtime. If you work odd hours or have kids, your evenings are probably busy and unpredictable. I workout in the morning half of the week, when I have things going on in the evening like dinner with friends, yoga class after work, etc. I have to say it gets me energized in the morning and studies have shown that it speeds up your metabolism and I notice that because I'm hungrier throughout the day! I like to do yoga in the evenings because it's a perfect late workout and helps my body to relax, and that naturally leads to a good nights sleep for me. Drinking a pre-workout supplement can help you power up with energy to succeed with your workout and help fuel your body to tackle the most challenging fitness programs. It will help address complaints of "fatigue" or "lack of energy" prior to a workout. Beachbody makes Energy and Endurance which is a proprietary blend of advanced nitric oxide boosters, amino acids, natural energizers, electrolytes, and essential B vitamins, created to help you start fast and finish strong! It has no artificial flavors, sweeteners, or preservatives, its sweetened with stevia and tastes like limeade. 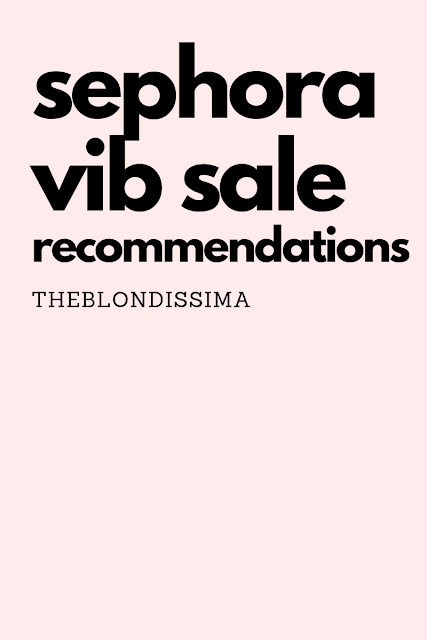 It retails for only $30 for a 25 day supply! You'll see that it will not only pass the test but you will feel like you could do another workout! You won't crash later like you would with other pre-workout drinks. It's one of our best sellers and you'll see for yourself why! Brian Tracy is one of my favorite authors and motivational speakers. 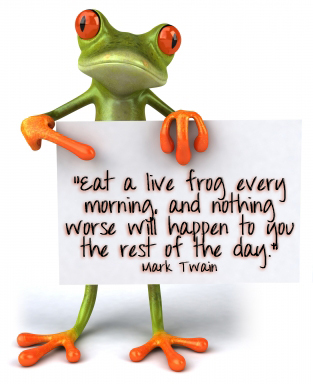 He wrote this amazing best selling book called Eat That Frog which provides the 21 most effective methods for conquering procrastination and accomplishing more. It's a short and fast read at only 128 pages but very concise. It's a small book so it easily fits into your purse to read whenever you're waiting for the train. Even if you don't think you have a procrastination problem, it just gives you the steps to be more organized in your life and helpful in achieving your goals. The meaning behind the title of the book is that if you have a to do list and do your hardest task first, that will give you the most satisfaction for the day because your biggest challenge is out of the way. On the topic of being more organized with your time and life I want you to challenge the negative thoughts in your life that are holding you back. Are you your best supporter or do your knock yourself down? You should try to reduce the time you are exposed to negativity and negative people and stop putting yourself down and associate with people who push you to do more, who see great things in you and are the type of friends that want other people to succeed. We can bring this full circle by applying it to your fitness goals, every bite of food you put in your mouth and every minute of your workout is either bringing you closer to reaching your ultimate goal or pushing you further away. What do you choose? Affirm that anything you desire is possible, and it will BE possible! Do you still doubt yourself and what you can achieve? How are you talking to yourself, are you telling yourself that you can do this or are you starting to doubt that you will ever change? Whatever it is, you MUST stop those thoughts dead in their tracks! Be honest with yourself and challenge your inner negative voice to hit the road! Your ability to stay positive and maintain positive thoughts determines the tone of your emotional life. The words you use to describe what is happening to you, and to discuss how you feel about external events, trigger the emotions of happiness or unhappiness you experience. When you see things positively and constructively and look for the good in each situation and each person, you have a tendency to remain naturally cheerful and optimistic. Resolve in advance that, no matter what happens, you will not allow it to get you down. Neutralize any negative thoughts or emotions by developing positive thoughts all the time. Repeat positive affirmations such as, "I feel healthy, I feel happy, I feel terrific!" As you go about your job, say to yourself, "I like myself and I love my work!" Say things like, "Today is a great day; it’s wonderful to be alive!" Third, look upon the inevitable setbacks that you face as being temporary, specific and external and stay positive. Look upon the negative situation as a single event that is not indicative or connected with other potential events and which is largely caused by external factors over which you can have little control. Simply refuse to see the event as being in any way permanent, pervasive or a personal slight on your own competence or ability and maintain your positive thoughts as you move forward. Remember that it’s impossible to learn and grow and become a success without the inevitable adversities and difficulties you must contend with and rise above in order to become a better person. So, welcome each difficulty by saying, "That’s good!" 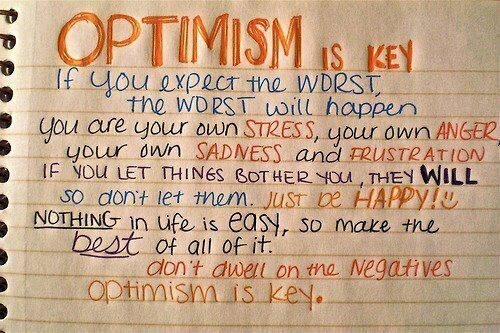 and then look into the situation to find the something good or beneficial that it contains in order to stay positive. Keep your thoughts on your goals and dreams, and on the person you're working toward becoming and the things that you are striving for. When things go wrong temporarily, respond by saying to yourself, "I believe in the perfect outcome of every situation in my life." Resolve to be cheerful and pleasant and use every temptation to respond negatively as an opportunity to grow stronger by using positive affirmations and talking to yourself and others, in a positive and optimistic way. 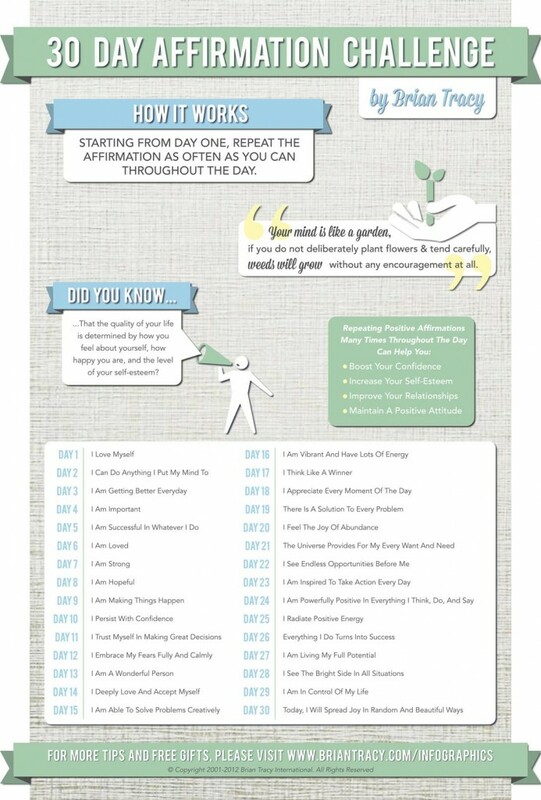 He set up a 30 Day Affirmation Challenge, so I thought what better day to start than May 1!